It is not always the glamorous black tie gala with trips to the French Riviera hosted at the nicest place in town. It is not sending out an email to everyone and getting lots of money by return mail. It is not writing a nice letter about what you hope and plan to do and receiving 5 and 6 figure grants. It takes time, dedication and persistence. 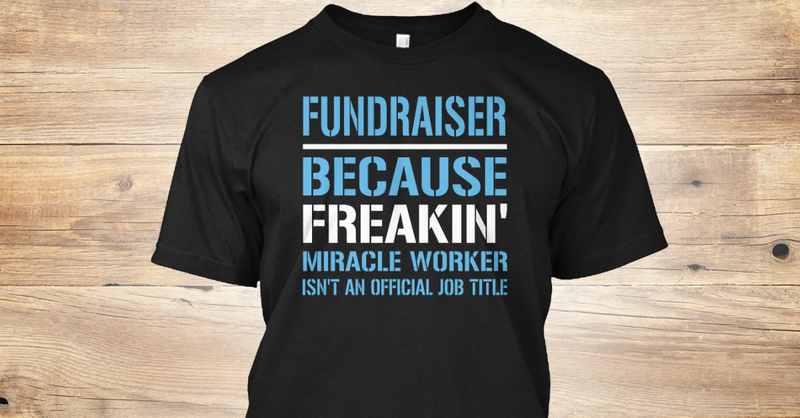 Below are 10 realities of fundraising. Real, thoughtful and planned fundraising doesn’t happen quickly. It is the result of dedicated relationship building, careful donor cultivation and lots of planning. It can be tempting to look at anomalous events such as the Ice Bucket Challenge and believe a similar opportunity exists for you. While it might, it is unlikely. ( The ALS Foundation didn’t even put on that program). The reality is you must create and nourish your own mailing list from folks who care about what you do and what you stand for. Then you must invest in their interest, acknowledge and respect their choice to support your work and find out what is it they need to remain engaged with you. That might be in how you communicate, in events you host, or in online activities that are important to them. This does not happen overnight or quickly and strong fundraising programs are the the result of doing the hard work, day in, day out. 2. It is not easy – if it were easy, we’d all look like Cher. The plain truth is that it is not easy to find those who are interested, to find out what they need to see and hear from you to allow them to make the choice to give you their hard earned dollars. It will be important for you to carefully consider the content, language and images you use on your website and in your communications. This means trying different things, getting feedback, tweaking and honing and making sure you send out the best possible work. Now, you need to do this a few more times each year, and especially in the 4th quarter for end of year donations. Smart fundraising requires a thoughtful understanding of your audience, both your current donors and those you want to acquire. Who are they, where are they, what is important to them? Fundraising must have a clear, targeted message, it must address the top level concerns of your stakeholders (fancy word for those that are invested in your work). Just because you feel your cause is important, crucial even, doesn’t mean others will feel the same way and pull out the credit card. Fundraising needs to be planned, considered, reviewed and then implemented. Sending out a generic ‘please give’ letter that says the same thing to everyone is not going to work. ‘Spray ‘n pray’ has not shown to be a reliable nor effective approach to raising money. No, no letters to Oprah, Ellen, Warren Buffet, Bill Gates or anyone else. Those people who already know about you, already have shown they are willing to support you are the donors you need to identify, to cultivate a strong relationship and nourish their interest. Work with these donors, elevate them to monthly donors, pay attention to who gives how much, how often and when. Be prepared and knowledgeable about different financial ways to receive a large gift or bequest; I guarantee you their advisors will consider benefits of different options that are in the best interests of their clients. This is going to take time, attention, communication, initiative and imagination. The payoff can be amazing, however it is unlikely to happen by itself or overnight. Sorry, but not a lot of strangers are sitting around the internet waiting to send money to other strangers. Yes, you have heard of some cool new invention or some really awful tragedy that raises a bunch of cash, however the vast majority of these campaigns don’t even hit their goals. You need your own mailing and contact list to begin with, create a compelling story and video and work to get noticed among the thousands of others doing the same thing. Unless you have something that really stands above other causes, how will you get found? Donor retention is critical, the statistics show about ⅔ or more of initial donors don’t give again. First donations are often a test to see how you handle a that gift before a donor gives again or for more. If you get sloppy about thank yous, acknowledgements, or only contact them during fundraising campaigns and don’t attract their attention, you could lose them. It’s important to invest in your known donors while you look for new ones. Its cheaper, easier and more lucrative that eternally searching for new ones. Fostering loyalty from your ‘regular’ donors will provide a good payoff. Make a point to create a welcome package for new donors, be in touch more than for fundraising, ask them what their communications preferences are, then do your best to comply. Don’t forget tiny details, such as making sure you get their name and title correct. Lots of nonprofits, especially the newer ones, see grant funding as the Holy Grail of fundraising. All you have to do is show a foundation or funder how good your idea is and how hard you work and checkbooks will open. Sadly, this is far from the truth. Acquiring grant funding is labor intensive; before, during and after the application. Identifying a funder whose goals parallel yours, seeing they will even accept an application from you is only the first step. Most grantors require thorough information including budgets, personnel, history, board participation, previous results and sometimes even who else you are soliciting. I have seen 15 page applications for a $2500 grant! Someone will have to spend time and energy preparing the application, be sure that is the best use of that time. The funds are by no means guaranteed; sometimes you will be approved for much less that you asked for at first. Then you will need to report on how the funds were applied and what the outcome was as a result of that grant. To have the best chances of successfully obtain grant funding, be sure you have the time and personnel to do a thorough and thoughtful job of applying. Just for fun, go the the website of a funder who you know of or who you believe would be a reasonable partner for your work, take a look at who they have funded in the past and what an application looks like and requires as additional data. Are you ready to begin that application? This is a biggie: one of the most frequently reported issues in development is the reluctance of board members to donate and fundraise. This is simply not OK. Board members enjoy the privilege of directing the work of the organization, so they must know intimately the financial needs of the organization and its need for support. For someone in this position to not support the organization sends a poor message. Board members set the example for commitment to your organization; if they don’t give why should others ? It is hard to ask others to do what you will not. There on many ways this can be addressed with sliding scales, give or gets, or in kind donations. It is important that the board achieves 100% participation as this question comes up with many grant applications. You may have a great new idea, you may have an innovative and in a couple of cases you could obtain a seed grant, but you can only do that once. From then on, those grantors are going to want to know what their funds will be doing. Donors want to see what their contributions have accomplished; be ready to show them what you have actually done. If you were asked to donate a big amount to a nonprofit, what information would you ask for? How will we see the impact of those funds? How will you measure that? Institutions and corporations have to answer for the choices they make, and they want to make good ones for themselves first, then to benefit your work. From the get go, keep records of what you do, how you are doing it, who does what, and how much everything costs. The follow up and analysis of how your fundraising is going is key to making smart decisions about fundraising going forward. Look at what was successful and what was not so much. See if you can figure out why a campaign may have failed, what can be changed to improve the outcome. What are your numbers and where are your numbers? Know, specifically, what your goals and targets are, even if you don’t reach them, have a clear unambiguous target. More dollars? More members? More media? What is it you want to accomplish, specifically? Know what you need, what you are asking for, what it will do and when you will see those results before you reach out your hand. You will be more confident and your donors will be more confident in a contribution to you. Prepare for long term fundraising over months, not days. Put a lot of time and energy to crafting your message and communications. Have a specific plan, know who you are asking, tailor your language to that audience. Pay close attention to the donors you do have, find out about them & their giving habits. Preparing a good crowdfunding campaign can be as involved as creating a campaign for your list. And you still need a list you can send to. Make donor retention a big part of your planning, acknowledgements, thank yous and pay attention to details. Be sure you are well prepared with both the data and the time to invest in the application process and you do not count on those funds. Structure board dues so that everyone is able to make a contribution to the operation of the organization. Keep track of the work you do, develop measurement and metrics that show what you are accomplishing. What worked, what didn’t, why? Keep track of your results and base your future planning on the response you receive. The point is not to be discouraged, rather to be well armed to go into the fundraising fray. Lots of people out there are asking your same donors for their support, be sure that your ask is grounded in facts, clarity and a consideration of your donor’s needs and concerns. Every donation is a choice, help your donors make their choice for you by being thoughtful about how your engineer your fundraising program. Careful planning, clear goals, measurable results can go a long way towards improving the results of your fundraising efforts. Think about how you would receive the piece you are planning to send out if it was not yours? Would you take the time to look, would you read it and consider support or would you just toss or delete it? Be as thoughtful in how you communicate your need for funds as you want someone to be towards you. Fundraising is a crucial element of your mission as a nonprofit, it allows you to do the work, deliver the mission and take steps towards realizing your vision. Fundraising allow change to happen- fundraising is change making. Prepare well and appreciate the results. Let us help you avoid the big potholes in fundraising road, let us help you ask clearly, honorably and successfully.